I’ve loved making art for as long as I can remember. I attended art school in Baltimore and moved to New York City to pursue a freelance career as an illustrator. At the time I was unaware of scientific illustration, or opportunities for artists at museums, so I was thrilled to get the job at the American Museum of Natural History. 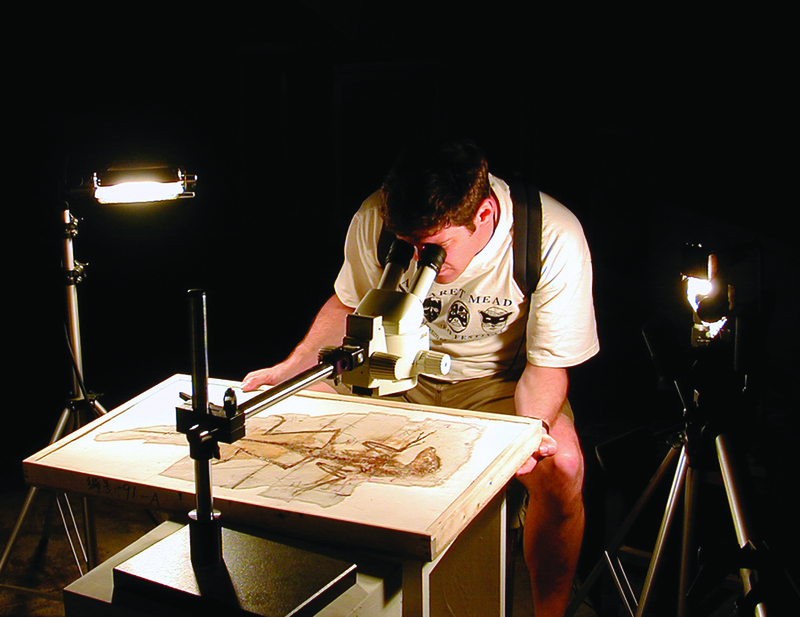 I’ve worked in the Paleontology Department of the AMNH since 1990. Actually, my job at the museum does not involve illustration at all. I work as a scientific photographer, creating figures for technical papers. So for the most part, any artwork I generate is on my own free time (which may be why there is so little of it!) Of course there are many benefits of working in the Paleontology Department of the AMNH, including hands on experience as well as proximity to the museum’s collections and experts. Handling and photographing fossils every day, it’s hard not to imagine what these things may have looked like when they were alive. 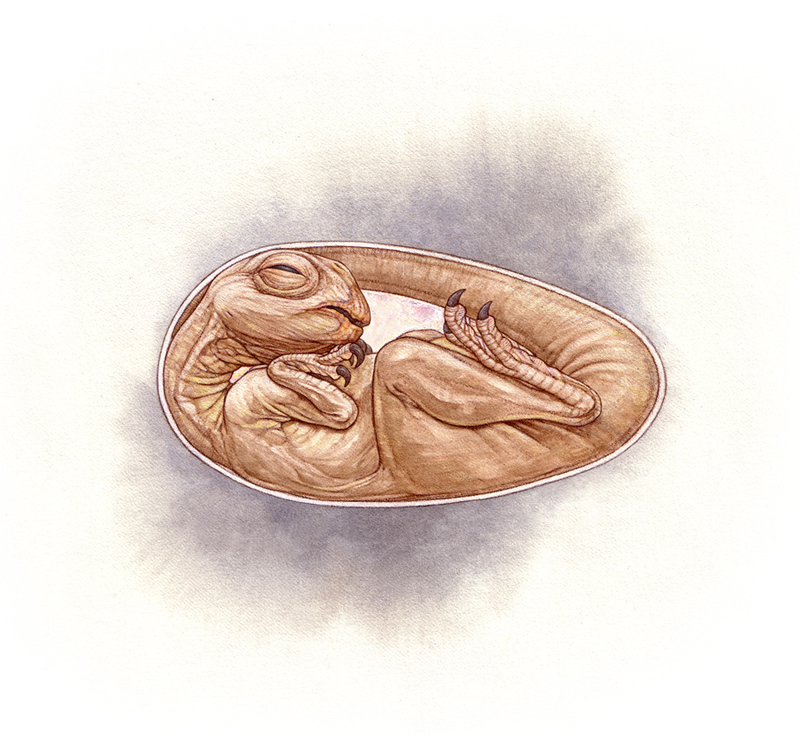 The first paleo art illustration I did was the Oviraptor embryo in its egg, shortly after I got the job at the museum. We had been working pretty intensely on the scientific paper and I was inspired to create a drawing. The New York Times picked up the illustration and ran it on the front page. I think I almost died. Like many kids I was interested in dinosaurs from a young age. Art was just always something I did. But I think it took my position at the museum to meld the two together for me. The one I haven’t done yet! If I had to choose one it would probably be Mei long, the sleeping dinosaur. Shortly after the drawing was published, a professor from Spain sent me an email. He had seen my drawing in the paper when he noticed a sparrow sleeping outside his window. He snapped a photo of it and sent it to me because it reminded him of my drawing. It did look remarkably similar and that was a rewarding affirmation (ironically, it was the reference I had been searching for all along) That was very cool. The first book I ever saved up for and bought, in 4th grade book club, was “Life Before Man”. The paintings by Zdenek Burian are absolutely magnificent. I just pored over every page and I would try to copy the ones I liked most. Those paintings still resonate for me today. Another great inspiration to me is Erwin Christman, an artist who worked at the AMNH alongside the great Charles Knight. Although much lesser known than Knight, I feel his paleo illustrations and sculptures are among the best ever made. It’s difficult to choose a favorite. Working in China for 14 years has certainly endeared me to the fossils of Liaoning. The Jehol Biota at a glance often seems very familiar, and reminds me of the ponds and woods where I grew up – the fish, insects, amphibians, reptiles, plants, small mammals – the familiarity of these Jehol fossils is only superficial, as I’m reminded of every time I see a fuzzy pterosaur, a long-necked aquatic reptile, or a feathered dinosaur from there. An entire ecosystem has been recorded in great detail. 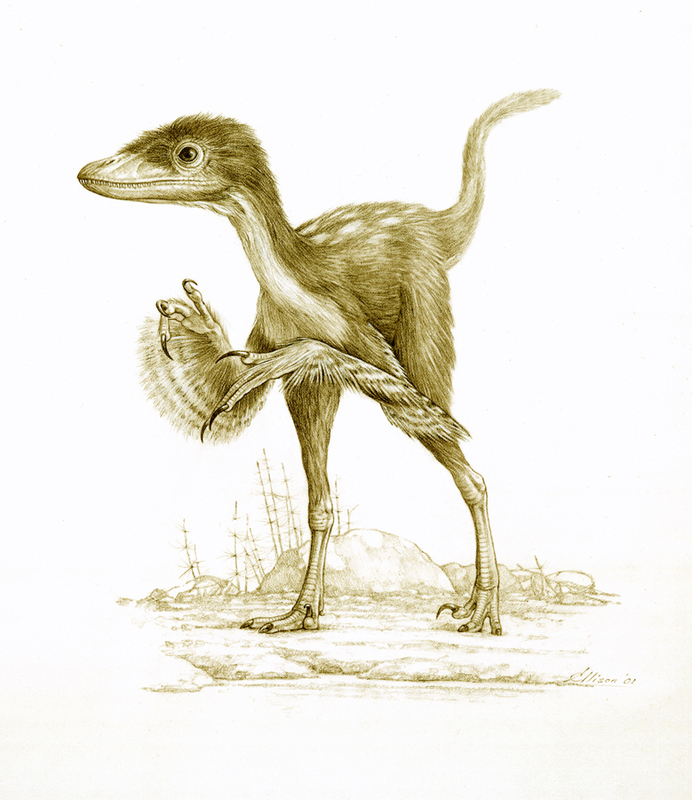 It’s like a paleo artist’s dream come true. I’d certainly like to do more on Microraptor. When NOVA commissioned me to draw Microraptor a few years ago, they were interested in a video sequence from the fossil slab of the type specimen to the fleshed out animal in its death pose. But what needs to be taken into account is the fossil itself is crushed flat and somewhat disarticulated, making for a slightly unnatural and stylized representation. I think I’d like to portray Microraptor perched high up in the branches, with those long leg feathers folded back, just like its wings. It’s such a puzzling and interesting animal. 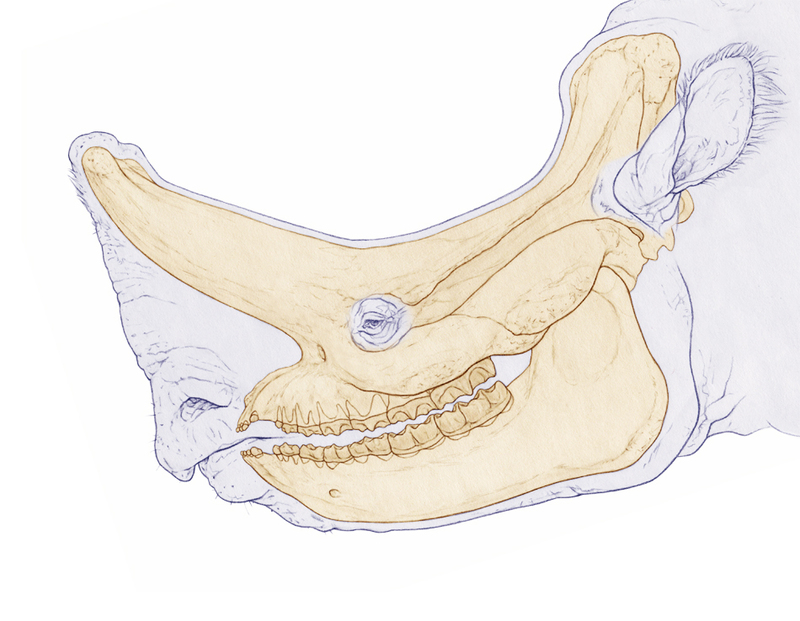 I’m also interested in reconstructing extinct mammals, and I’m currently working on a couple of projects. It’s a lot of fun… and it’s also very different from reconstructing dinosaurs. For me it would be believability. Can I picture this animal as a living, breathing animal? Is it natural? Those are the questions that come to mind first. It’s a hard thing to pull off. 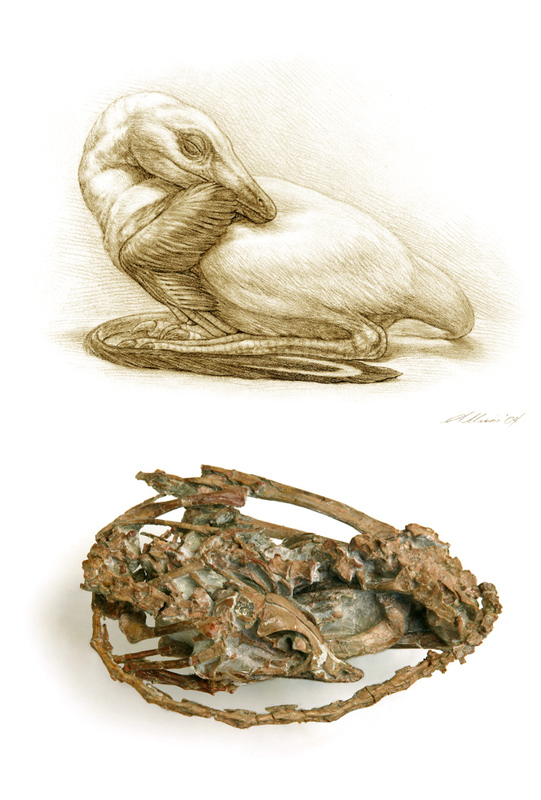 I think you have to avoid the conventions and traps of paleo art, because you have a lot of people simply copying other people. I also think it helps when the art draws from the natural world, and from the appearance and behaviors of modern animals that may share traits, or live in similar environments. It’s often the subtle small details that work best to convey that sense of reality. Beautiful work completely under my radar, thanks for posting this interview Dave. Gorgeous, sensitive drawings of real animals. Wow. That Microraptor is beautiful. Very beautiful indeed. Seen some of it before I think, nevertheless stunning. The Embolotherium picture with the man in the middle- Is that two separate animals, or just two different interpretations of the same animal? My guess is that’s two versions of the same animal, but really you’d have to ask Mick. Thanks very much for printing this interesting interview and the fine artwork, David.